As leaders we are in the business of making others successful. I had a boss at General Electric who used to say, “Your success is my success.” His words were backed up by a commitment to meet with me regularly, coach me, guide me and make sure I had what I needed to get the job done. He understood that as leaders we are there to serve those we lead. We provide the tools and resources for our team members to get their jobs done well. Tools – Computer, phone, supplies, etc. The art of leadership is figuring out what individual team members need in order to succeed. Each person is different. For some, all it takes is a listening ear. Others need to see us involved and working alongside them. The above proverb reminds us that poor workers naturally look for others to blame. Sometimes, that blame is directed at us because we “didn’t train them well enough” (or whatever excuse they want to use). However, leaders with integrity do what it takes to set their team members up for success. If a team member doesn’t measure up, it won’t be because the leader didn’t try their best to set them up for success. In that case the blame will lie squarely with the team member. We give them what they need to succeed and the rest is up to them. 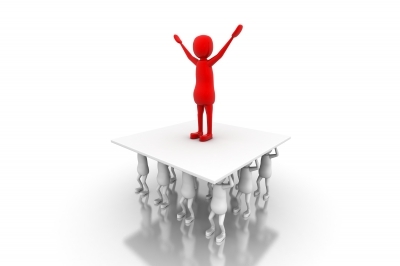 What are some things you offer your team members to set them up for success?